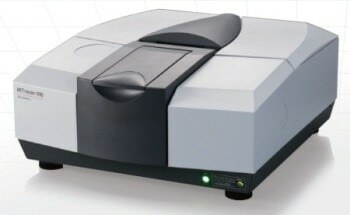 Shimadzu Scientific Instruments (SSI) is the American subsidiary of Shimadzu Corporation, headquartered in Kyoto, Japan. Founded in 1875, Shimadzu is a $3 billion multinational corporation with three major divisions: Medical Diagnostics, Aerospace/industrial, and Analytical Instruments. The Analytical Division is one of the world's largest manufacturers of analytical instrumentation and environmental monitoring equipment. Headquartered in Columbia, Maryland, SSI was established in 1975 as a distribution center providing analytical solutions to a wide range of laboratories and lab-services providers in the Americas. Today, SSI’s focus is expanded greatly beyond distribution. Steady and controlled growth has seen the opening of nine regional offices across the United States; a state-of-the-art Customer Training and Education Center; Shimadzu U.S.A. Manufacturing, which supplies high-performance liquid chromatographs (HPLC), gas chromatography mass spectrometers (GCMS), and other high-tech products to the U.S. market; and, most recently, a Mass Spectrometry/Biotech Applications Laboratory and a Physical Measurement Laboratory. SSI offers a full line of analytical measurement and testing instrumentation for a broad range of applications in science and industry. Products include chromatographs (HPLC/UFLC/UHPLC, GC); mass spectrometers (GC/MS, LC/MS, MALDI); spectrophotometers (FT-IR, Fluorescence, UV-VIS-NIR); atomic spectrometers (AA, ICP); X-ray spectrometers (EDX, XRD, XRF); thermal analyzers; Total Organic Carbon (TOC) analyzers; data systems/software; particle size analyzers; balances; and materials testers. Shimadzu’s diverse lineup of testing and inspection machines has been engineered to meet specific R&D/QA/QC requirements in the development of safer and higher quality materials and products. 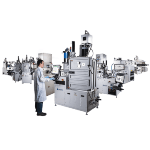 These include standalone and bench-top Universal/Tensile Testers, Servohydraulic Testing Systems, Fatigue/Endurance Testers, Particle Size Analyzers, Viscosity & Flow Testing Instruments, High-speed Impact Testers, and Micro Hardness Testers. When combined with a vast selection of accessories, including grips, extensometers, and jigs, Shimadzu can provide you with a solution for any environment or application. With a vast installed base and preferred vendor status at many institutions, our instruments are used by top researchers across the globe; customers who can count on the stability, experience, and support only Shimadzu offers.